Sonic Performance Support, produces e-learning training courses for employees using Windows 7 and Microsoft Office 2010. We continue to release courses from Sonic on our mobile-friendly Video On Demand (VOD) format. In this course learn to; create a work space, consolidate data, link cells in different workbooks, and edit the links. In this course learn to; format the worksheet tab, how to delete, hide, re-order and re-arrange worksheets, and view different worksheets, or different sections of worksheets, side-by-side. Watch for more Sonic Performance Support courses being released by Mastery, and ready for use on virtually, any mobile device. 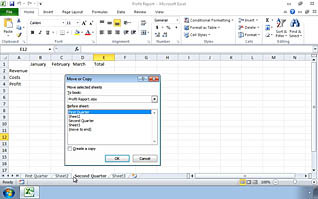 This entry was posted in Business Skills Training, Computer Skills, Workplace Training and tagged computer skills, computer skills training, excel training, microsoft excel training, microsoft training. Bookmark the permalink.